Hurston/wright Foundation | Teen Writers’ Workshop Hurston/Wright Teen Writers’ Workshops. Hurstonwright Foundation Teen Writers Workshop The Hurston/Wright Teen Writers’ Workshops offer youth ages 14-18 the opportunity to develop and improve their skills in both creative and academic writing. Participants meet published authors, write in a workshop setting, and have the opportunity to publish excerpts from their work in an online. Hurston/wright Foundation | A World Of Black Writers Named for literary geniuses Zora Neale Hurston and Richard Wright, the Hurston/Wright Foundation discovers, mentors, and honors Black writers. Through writing workshops, public readings and award competitions, the foundation encourages new and established voices, connects writers and readers, and celebrates artistic excellence. Hurston/wright Foundation | Teen Writers’ Workshop Hurston/Wright Teen Writers’ Workshops. The Hurston/Wright Teen Writers’ Workshops offer youth ages 14-18 the opportunity to develop and improve their skills in both creative and academic writing. Participants meet published authors, write in a workshop setting, and have the opportunity to publish excerpts from their work in an online. Hurston/wright Foundation | A World Of Black Writers Named for literary geniuses Zora Neale Hurston and Richard Wright, the Hurston/Wright Foundation discovers, mentors, and honors Black writers. Through writing workshops, public readings and award competitions, the foundation encourages new and established voices, connects writers and readers, and celebrates artistic excellence. Hurston/wright Foundation | Programs Depending on class size and availability, participants submit work for critique in an intimate workshop setting. Teen Writers. Through the teen writing program, the Hurston/Wright Foundation guides young people to express themselves through poetry and fiction. Youth ages 14-18 work to develop and improve their skills in creative and academic. Hurston/wright Foundation - Hurston/wright Writers Week 2019 For nearly 30 years, the Hurston/Wright Foundation has been a home for emerging Black writers. Offering diligent instruction, careful critique, and intensive writing, the writing workshops allow writers to sharpen their skills while in a community with Black writers. Each workshop is led by an award-winning author who is also a talented teacher. Hurston/wright Foundation Turns 25 | Poets & Writers This year, the Hurston/Wright Foundation plans to ring in its silver anniversary by reintroducing its weeklong adult writers workshops in the summer after a four-year hiatus (they will be led by Breena Clarke, Terrance Hayes, Wil Haygood, and Chinelo Okparanta), and by hosting weekend fiction and screenplay workshops in March and a poetry. 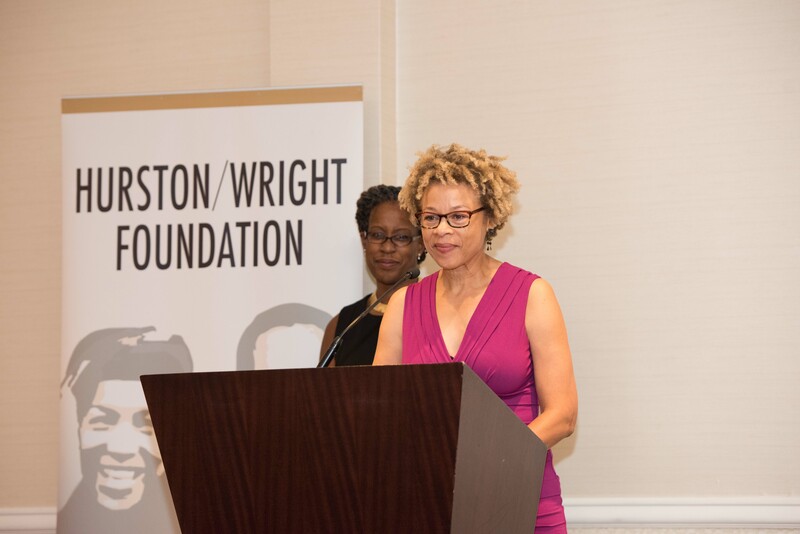 Hurston/wright Foundation Submission Manager For nearly 30 years, the Hurston/Wright Foundation has been a home for emerging Black writers. Offering diligent instruction, careful critique, and intensive writing, the writing workshops allow writers to sharpen their skills while in a community with Black writers. Each workshop is led by an award-winning author who is also a talented teacher. Hurston/wright Foundation | A World Of Black Writers The Hurston/Wright Foundation provides multiple workshops and classes to serve emerging and midcareer writers in the genres of fiction, nonfiction and poetry. Adult writers receive intensive instruction and feedback from acclaimed authors, teachers and publishing experts in these craft-focused seminars. Pub: Hurston/wright Foundation 2017 Summer Writers Week For 20 years, the Hurston/Wright Summer Writers Workshop has offered a safe space for writers in intensive workshop sessions and master classes. Workshops are led by award-winning writers who are influencing today’s literature. The program features critiques, craft talks, writing time and public readings.